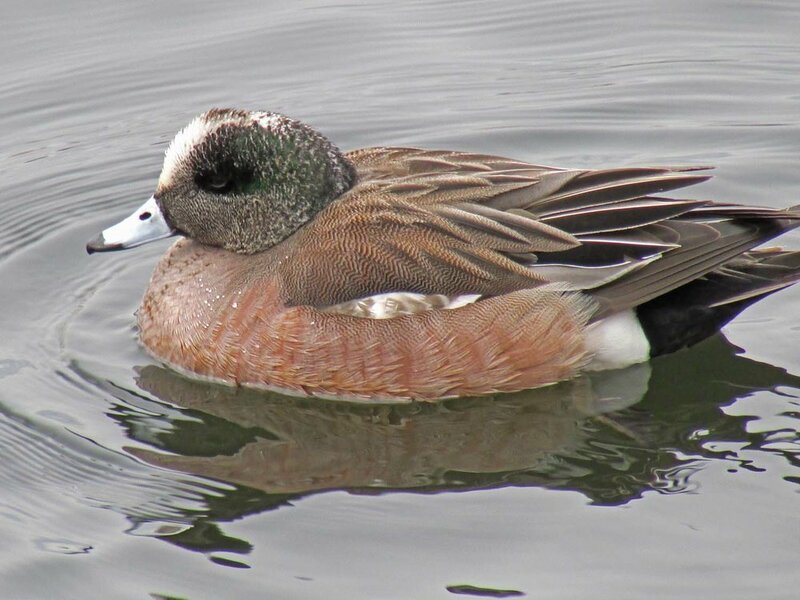 I have seen three American wigeons so far, one at the Reservoir in 2014 and a male and female in Prospect Park in November 2016. 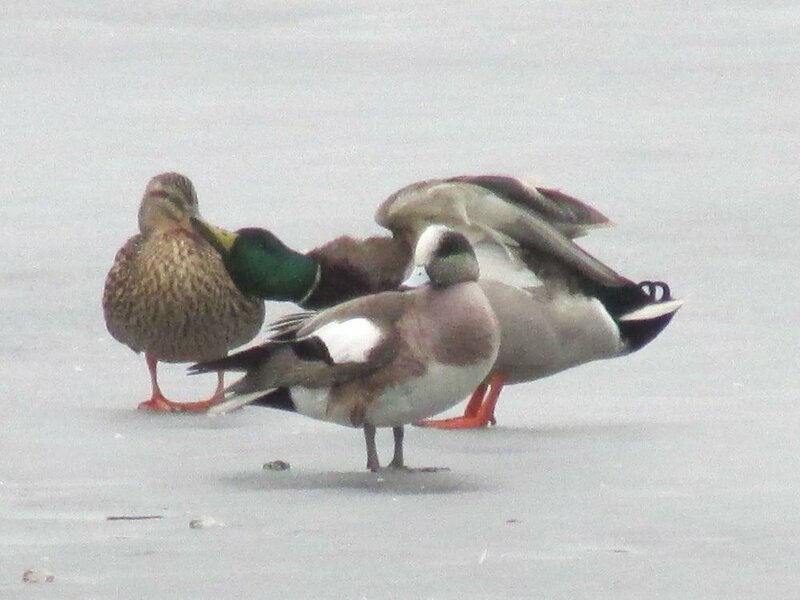 These are delightful diving ducks. 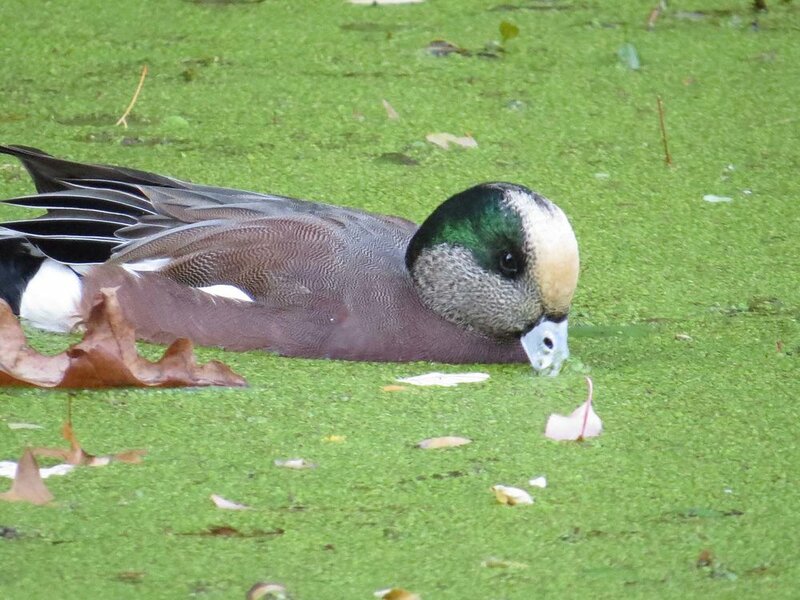 They eat aquatic plants primarily, and in November they were feasting on the duckweed. 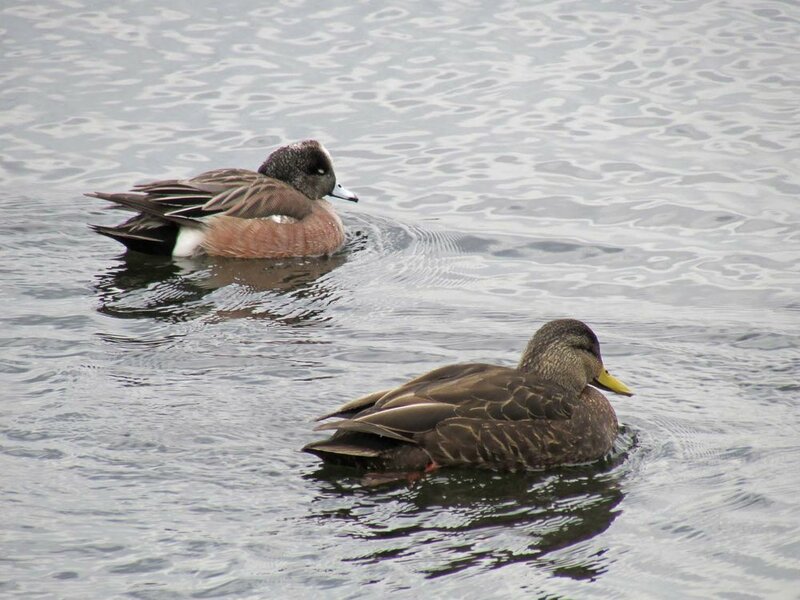 The Filming the Feathers video shows the pair really whistling and squeaking at some American black ducks, although they tolerated the mallards. The music is Franz Joseph Haydn's Gypsy Trio, performed by Carl Banner. 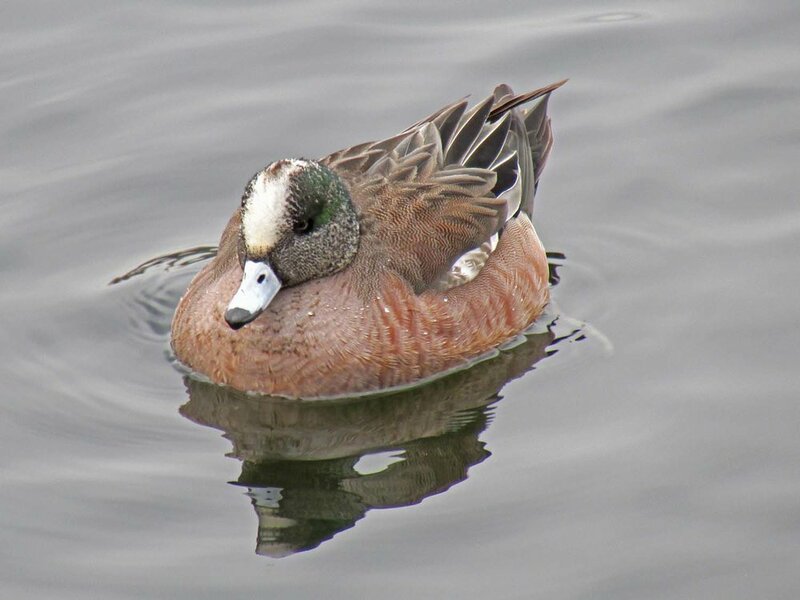 These photos are of the American wigeon that visited the Reservoir in March 2014. These are the November 2016 wigeons.